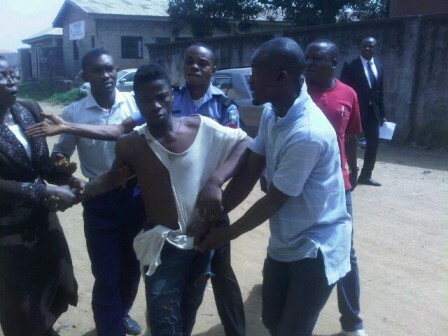 There was shock at Ejigbo Magistrates’ court in Lagos State , on Tuesday after a 22-year-old man who was arrested and charged before the court did the unthinkable by jumping off the court’s storey building to evade trial,PM News reports.. The suspect, Tomiwa Bolaji, had already beat the court security guards and was attempting to escape through the adjoining street close to the court premises. Both the court registrar, security guards and police officers present pursued him and later re-arrested him in the street and brought him back into the courtroom to face trial. Tomiwa Bolaji was brought to the court and arraigned for allegedly stealing a generator set valued at N25,000 belonging to Moses Udeze. The incident happened at 11, Adenekan Street where Udeze resides.While he was escaping with the generator, he was caught by the residents and handed over to the police at Ejigbo Division. At the station, Bolaji confessed that he actually stole the set to sell in order to raise money. 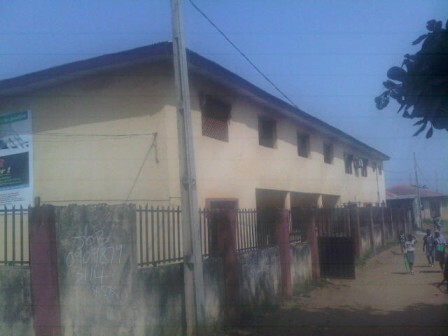 Consequently, the presiding Magistrate, Mrs J. O. E. Adeyemi ordered him to be remanded in prison custody at Kirikiri pending the date for fact and sentence. The matter was adjourned till 14 December for fact and sentence. While the court officials were preparing for his remand papers, he suddenly got up and jumped off the court building before he was re-arrested and sent to prison.